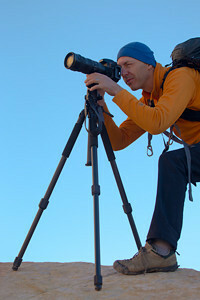 I am a landscape photographer from San Rafael, CA. My images focus on California’s natural beauty. A favorite subject is Marin County which consists of dramatic seascapes, mountain landscapes and iconic landmarks. My photography is not heavily edited or processed but it is to be sure a romantic vision. "IS A PLACE THAT HAS TO BE SEEN TO BE BELIEVED, AND IT MAY HAVE TO BE BELIEVED IN ORDER TO BE SEEN." I tend to believe that it is often a case of the later. My path to dedicated photography is a bit long winded. My foundation training and education in the visual arts was entirely focused on drawing and painting. Throughout my young life I imagined that I would be a painter. I was as dedicated to this path as anyone can be. I attended Bowdoin College in Maine where I was consumed with studying realist painting. I later studied at The University of Pennsylvania where I received a Master of Fine Arts degree. After graduate school I opted to spend three months in San Francisco while applying for teaching positions. However, instead of locked in a studio working on new paintings I was spending all of my weekends and free time rock climbing and exploring the Sierra Nevada. I never left. After a couple of injuries sidetracked me even further, I abandoned painting all together and found myself sucked into the world of high tech. The commercial internet had just exploded in the Bay Area and I began pushing pixels instead of paint. I’m thankful for my business success in graphic design but over time I realized that it does not entirely fulfill my desire to make art. I have always owned cameras but now I turned to photography with same passion that I had previously invested in painting. Landscape photography has allowed me to come full circle and combine my love for the natural world with my need to make images.